Redevelopment in urban areas often pits preservationists against businesses, property owners, and even municipal government, in a high-stakes game with buildings as pawns. However, a city is not a chess board that can be reset at the end of the match. Once a building is demolished, it is gone forever. We must find a way to foster open discussion on the merits of historic preservation: connection to the past, economic value derived from context, and (most importantly today) jobs. Every old building, particularly those whose occupants made significant contributions to history, has a unique story to tell. Together buildings and their stories create a sense of place, or context, that infuses them with meaning beyond their physical materials. They are best understood as part of a neighborhood rather than as individual structures. Consistency of design, craftsmanship, scale, massing, spacing, and landscape creates neighborhoods where the whole is greater than the sum of the parts. Repeated studies have found that properties in neighborhoods with historic integrity are more valuable than properties in comparable older neighborhoods that have lost their context. Each demolition tears a hole in that contextual fabric, which in turn reduces the value of nearby historic buildings. 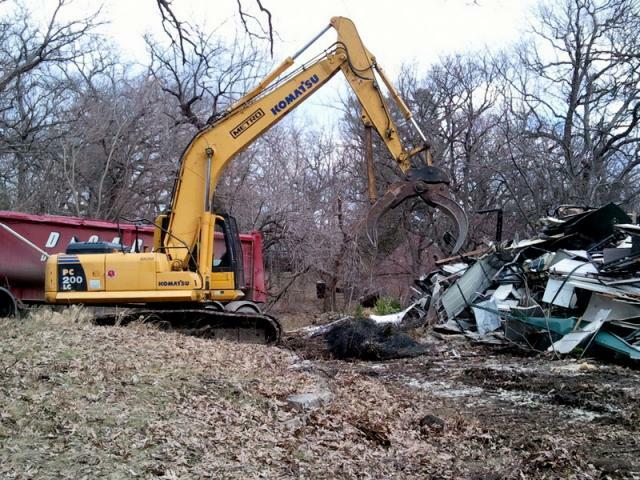 Demolition generates a staggering amount of debris that for the most part ends up in landfills. As they reach capacity, landfills generate negative impact both economically and ecologically. Renovation-oriented solutions divert much of this potential debris for reuse, or prevent it from entering the waste stream altogether. New construction that replaces a demolished building has measurable environmental costs of its own such as the energy used in production of new materials like concrete, brick, steel, plastics, and wood. While reasonable people may debate the value of context and the ecological costs of new construction, there is one metric where preservation clearly wins: jobs. Labor costs typically make up a higher percentage of overall expenditures for renovation as compared to new construction. Local preservation and renovation wages generate local taxes and support local spending. Conversely, profits on new building materials quickly flow out to national corporations or international suppliers. Historic preservation can contribute significantly to a strong local economy. To build their case further, preservationists need to be proactive about identifying historic resources and educating the general public about their importance. They must also acknowledge the delicate balance between an owner’s property rights and the benefits of historic preservation to the broader community. Owners of old buildings have responsibilities as well. They must incorporate an understanding of context, narrative, sustainability, and local economy into their project planning. They should solicit the advice and consultation of experienced preservation professionals early in the process before making irreversible decisions. Collaborative engagement helps avoid needless destruction of historic resources. This approach yields creative solutions that simultaneously strengthen our cultural ties, decrease our ecological impact, and advance local employment opportunities.